Winnipeg's 36th homicide victim is a man whose body was found in the city's south Osborne neighbourhood over the weekend, police have confirmed. The body was found in the 200 block of Morley Avenue early Saturday morning. Police declared his death a homicide on Sunday. The man died "as a result of violent circumstances," but Const. Robert Carver could not say what happened. "I wish I could be more specific. I released it as 'violent circumstances' because I couldn't get into the details," Carver told CBC News. "The individual was murdered, but I can't give you any details indicating or relating to the specifics of what happened." Police have not released the man's name. The results of an autopsy are pending. Investigators have been at the scene of the discovery all day Saturday and Sunday. They are expected to remain there for at least another 12 hours, Carver said. 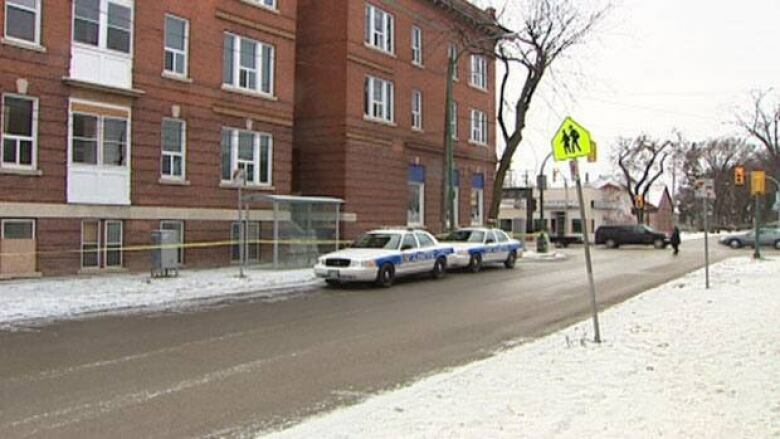 The latest case brings the number of homicides in Winnipeg this year to 36. Last month, the city broke its record for most homicides in a year. Carver is asking anyone with information about the latest case to call the Winnipeg Police Service's homicide unit at 204-986-6508 or Crime Stoppers at 204-786-8477.